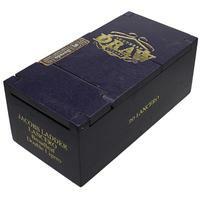 From construction to presentation to flavor, Jacob's Ladder cigars from Southern Draw are simply stunning and well on their way to reaching heaven. Starting with a deep, dark Pennsylvania Broadleaf wrapper, these sticks feature Nicaraguan long-fillers that combine for a smoke choke full of spicy cedar and rich espresso flavors. On top of all that, they come presented in a regal, purple-hued box, with bands to match and foot caps to add even more style. 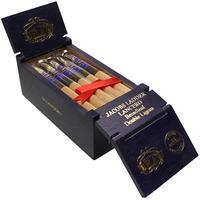 Offered here in the Lancero vitola. 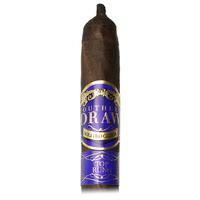 5% Off Five Sticks: $9.50 ea. 10% off box (20): $9.00 ea.